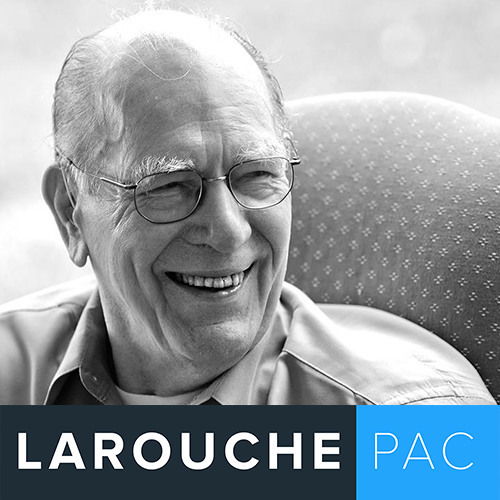 In October 2009, speaking at the Dialogue of Civilizations Forum on the Island of Rhodes, Lyndon LaRouche developed the concept that an agreement among four leading powers -- the U.S., China, Russia and India -- can form the basis for creating a new global credit system, to replace the hopelessly bankrupt Trans-Atlantic financial system which crashed spectacularly a year earlier. In the last years, under the direction of China's President Xi Jinping, that potential began to take concrete shape. With the election in 2016 of Donald Trump as President, in large part due to his rejection of the policies of war and financial speculation of his predecessors, it appeared that he was prepared to take steps to move the U.S. to join this agreement. This alone explains the desperate moves against him, beginning with the fraudulent Russiagate accusations, cooked up by British intelligence networks and Obama's intelligence officials. It also explains the push for sharper confrontation of the U.S. against Russia and China, including the Skripal affair, and the Douma false flag chemical weapons charges. The latest dangerous moves by Israel's Netanyahu regime, against Syria, Iran, Lebanon, and the Palestinians, and the continuing genocidal war waged by the Saudis against Yemen, are part of this same deployment, to use war to stop the consolidation of LaRouche's idea of a Four Power agreement. Helga Zepp LaRouche has said that the only thing which can stop this Four Power dynamic, which has been gaining momentum around China's leadership, with the Belt and Road Initiative, is war. The war drive from Britain must be defeated! Join Mrs. LaRouche and your host Harley Schlanger this Thursday, for the latest update on this fight, and what you can do to ensure that the Empire and its geopolitical insanity is brought to an end.